There has been considerable success in analytic modeling of the 802.11 MAC layer. These models are based on a number of fundamental assumptions. 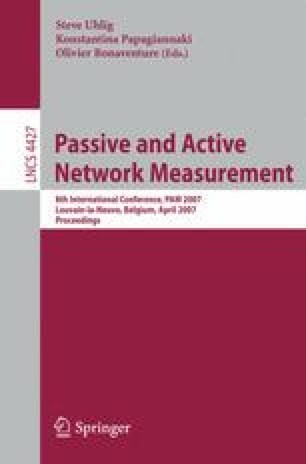 In this paper we attempt to verify these assumptions by taking careful measurements using an 802.11e testbed with commodity hardware. We show that the assumptions do not always hold but our measurements offer insight as to why the models may still produce good predictions. To our knowledge, this is the first in-detail attempt to compare 802.11 models and their assumptions with experimental measurements from an 802.11 testbed. The measurements collect also allow us to test if the basic MAC operation adhere to the 802.11 standards.